Hollywood actors are always having to make significant appearance changes to bodies. For example, once a Hollywood star has accepting the role of playing a fighter or boxer in a popular box office movie, his job for the next few months before filming starts is to train and eat like a boxer would. This requires a lot of skill and correct coaching, but the end result is the actor usually putting on a lot more muscle and weight to play the role convincingly. This has happened hundreds of times in Hollywood and in particular to some very high profile actors, such as Mark Wahlberg, Christian Bale, Hugh Jackman and even the lead actor in James Bond. 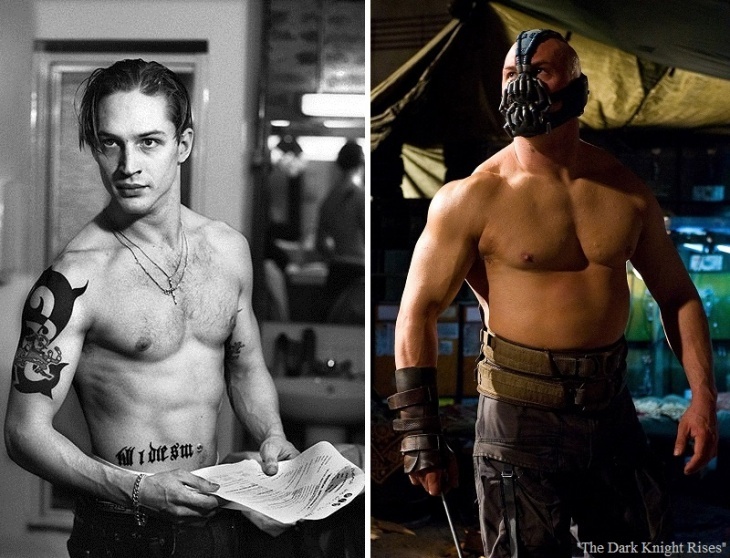 We take a look at 8 high profile Hollywood actors who had to put on a lot of muscle to play a particular role in a major Hollywood movie. We show you before and after shots of how they looked before filming, to how the changed their appearance to look during filming.